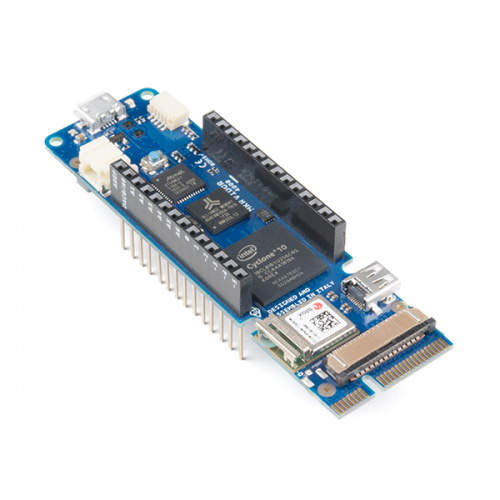 Today we are excited to bring you the new Arduino MKR Vidor 4000, which combines the benefits of the SAMD21 and an FPGA. We also have the Raspberry Shake Home Earthquake Monitor, two Neutis boards to help fill the hole in your heart from the Edison's passing, and a few other new products to fill your cart! The Arduino MKR Vidor 4000 is highly configurable and powerful, and it can perform high-speed digital audio and video processing. With the Vidor, you can configure it the way you want to essentially create your own controller board. It comes loaded with hardware and potential: an 8 MB SRAM, a 2 MB QSPI Flash chip (1 MB allocated for user applications), a Micro HDMI connector, an MIPI camera connector, and Wifi and BLE powered by U-BLOX NINA W10 Series. It also includes the classic MKR interface, where all pins are driven both by SAMD21 and FPGA. Plus, it has a Mini PCI Express connector with up to 25 user programmable pins. This shake brings an easy-to-use earthquake monitor to the yard! The Raspberry Shake is a highly accurate seismograph you can use in your home, office and classroom. This Raspberry Pi accessory uses a single, vertical geophone as its sensor – a very sensitive yet rugged Earth motion microphone, widely used in the oil and gas industry to detect seismic vibration. The Raspberry Shake was originally designed with citizen scientists and educational facilities in mind, but can easily be used by other hobbyists, makers and enthusiasts! Even though we made these available at the end of last week, we wanted to bring attention to these "Edison replacements" this Friday! 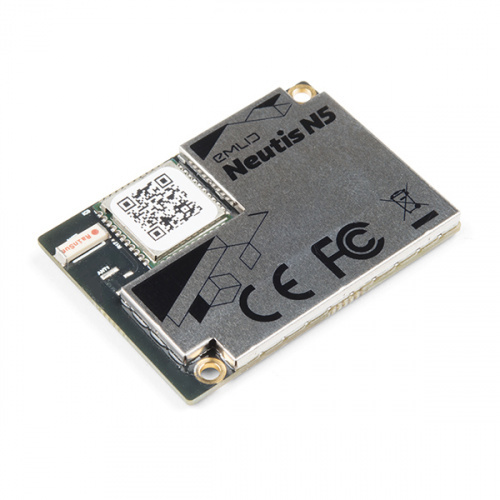 The Neutis Quad-Core Module and Development Kit are loaded with features. Utilizing Neutis’ BSP based on Yocto, the system arrives with an up-to-date Linux kernel. The module is powered by a 64-bit ARM Cortex-A53 and a ARM Mali450 MPR GPU. It has 512 MB of RAM and 8 GB of eMMC storage. For connectivity, there are a plethora of wired and wireless options at your disposal. For wireless needs, the system rocks 802.11 b/g/n and Bluetooth 4.0 Dual-mode BLE, all with the built-in antenna. For your wired needs, the module’s two connectors give you access to an incredible peripheral set, including over 50 GPIO and a multitude of interfaces. The ESP-WROVER-KIT is a development board produced by Espressif built around ESP32. This board is compatible with most ESP32 modules, including the ESP32-WROOM-32 and ESP32-WROVER (which you will find on the board itself). The ESP-WROVER-KIT features support for multiple amenities not typically found on other IoT devices, including a microSD card port, camera and LCD inputs, power mode selection and more. Each of the I/O pins have been broken out from the ESP32 module for easy extension, should you choose to use them. We also have a few other new products to check out, so make sure to check out our New Products Page to see them all! I was confused on the video for the new Arduino MKR Vidor 4000 where it was mentioned and written on the video (at 0:13) the "2MB QSPY". I honestly don't know what "QSPY" is. Looking into the actual specs on the web page I see that it should have been "2MB QSPI", and probably more clearly as "2MB QSPI Flash". Also, since QSPI is fairly new to the Arduino crowd, maybe a quick sentence or two telling us that it is like SPI but there are 4 half-duplex data lines instead of the two full-duplex data lines in regular SPI. So QSPI can be up to 4 times faster sending or receiving data than regular SPI at the same clock speed. New Product Friday: Flashback Friday!